If you live in Queensland, and Brisbane specifically, you can smell spring arriving on the breeze. One day we’re all choking on the annual dusty-dry winds, the next you can smell flowering eucalypts, sun-warmed grass and salt off the river. The air is suddenly humid-sweet and it’s now that our region is offering up spectacular produce in what is arguably the best weather of the year. 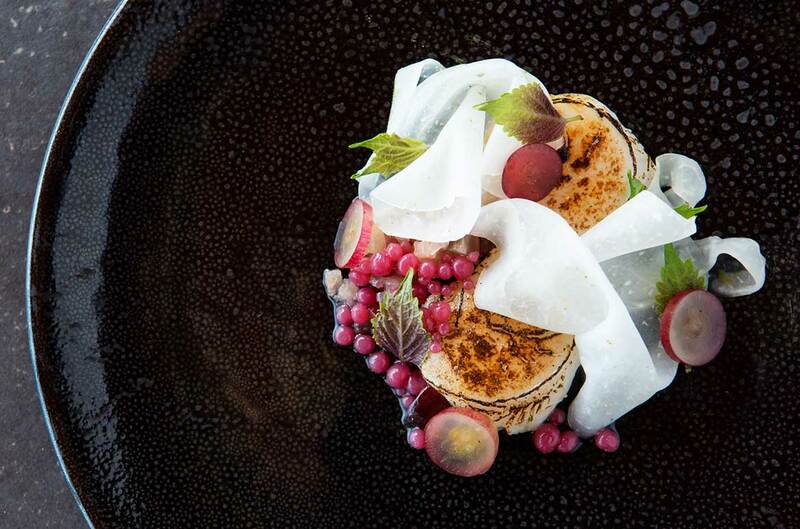 For a Queensland chef right now, there’s almost too much choice. As soon as a seasonal dish has been developed and launched, something new is at its best and crying out for a place on the menu. 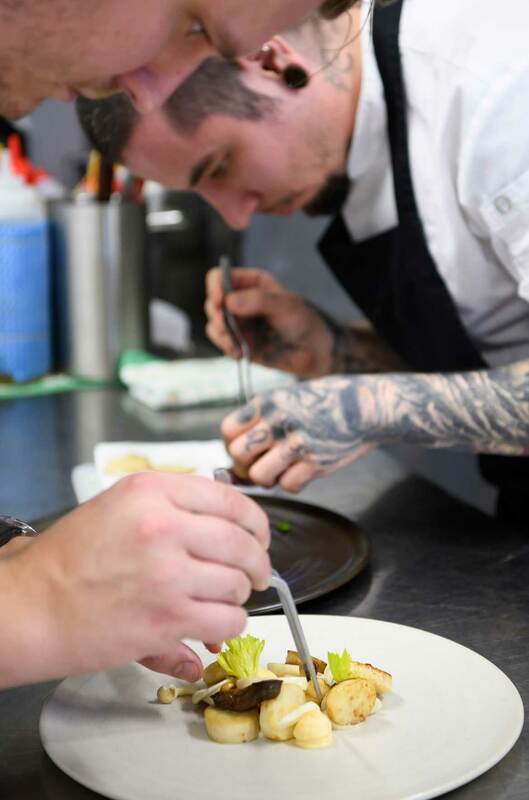 There’s the thrilling, anxiety-inducing dilemma of how to fit every amazing ingredient and innovative idea onto the menu at once, while doing our local growers, catchers and makers their due justice. 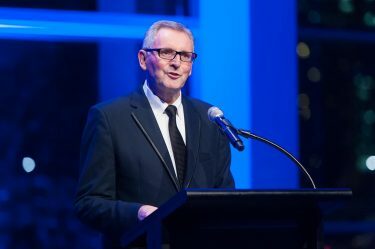 Douglas Innes-Will, QAGOMA’s Executive Chef, believes this is a great problem to have, and he has the perfect solution. Freshly launched this spring, Innes-Will has unveiled a reimagined menu style for the GOMA Restaurant, taking advantage of the frequent and abrupt changes in our region’s seasonal availability. In fact this is a central theme and Innes-Will stresses the menu will stay in a state of flux indefinitely, with dishes changing week to week. To complement this exciting and ever-changing offering, the wine list has undergone a revamp; including some new surprising and curious drops from around Australia, along with more highlights from Queensland estates. When you open the menu on your next visit, you’ll be looking at a cross section of the region’s abundance at that moment in time; along with the culinary technique of the team and their passion for picking out the most interesting and overlooked ingredients – all with their own story, history and origin. GOMA Restaurant chefs Matthew Blackwell and Michael Bickford developing plating design for one of the new spring menu dishes, Noosa Earth mushroom, celeriac, raw milk fontina, prune. 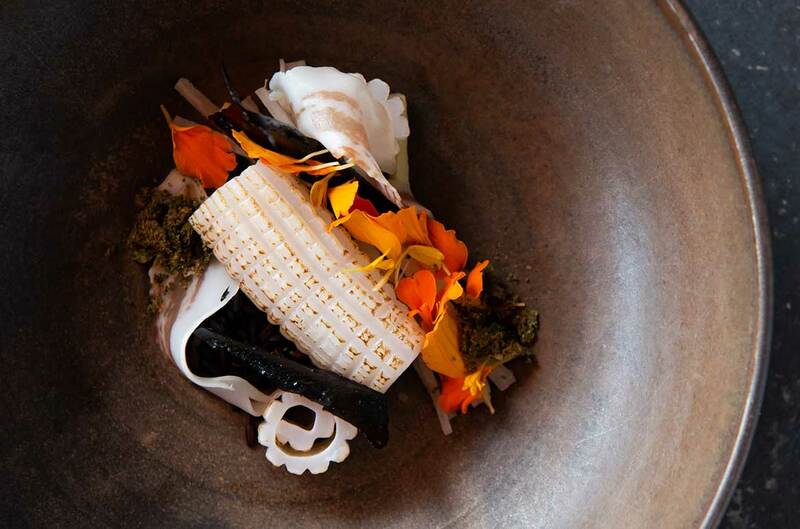 Innes-Will would love to see guests visit often to experience the seasonal changes reflected on his plates over time. He urges locals not to wait for a special occasion to visit what could be considered Queensland’s own dining room. In his own words: What GOMA Restaurant has on offer is for everyone, just like the Gallery. 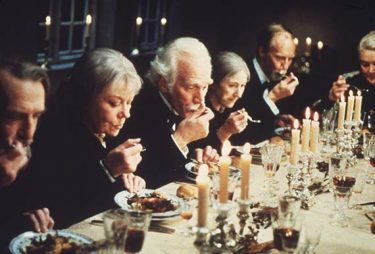 I want guests to enhance their visit to the newest exhibition with a spontaneous exploration of our menu; locals to drop in on their lunch break to experience the newest dish, or friends and family to celebrate an occasion over a tasting menu full of surprises and plot twists. In essence – I want people, all people, to feel like the restaurant has something for them, like it belongs to them, because… it does. 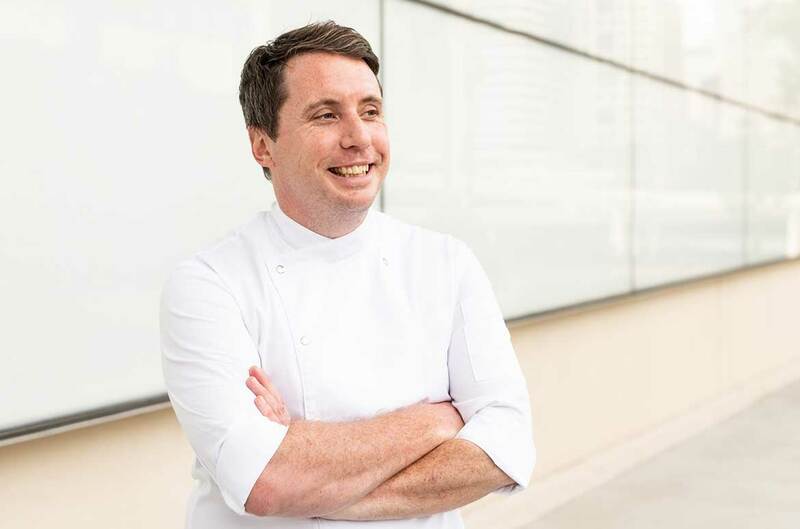 It’s not just local seasonal ingredients remaining in focus: Innes-Will and his team are bringing more of QAGOMA’s sustainable food philosophy to the menu, and working directly with local, sustainable growers and makers to develop a menu derived from nature’s current offering. Indulge in a unique dining experience at the GOMA Restaurant – enjoy the Brisbane International Film Festival (BIFF)’s premiere of Celeste, a compelling love story filmed in Far North Queensland and directed by Brisbane’s Ben Hackworth with a stellar cast, followed by a Queensland ingredient-based dinner directly inspired by the film’s earthy, humid, and mysterious ambience. Experience the Queensland ingredient-focused dining event – a truly home-grown affair celebrating Queensland film creatives, our region’s produce and hosted by QAGOMA’s culinary spearhead, Douglas Innes-Will, Executive Chef. Wrapped in sultry secrets like the film Celeste, the three course menu will remain hidden until you arrive to your table. Paired with beautiful and surprising Australian wines, this dinner is a treat not to be missed. 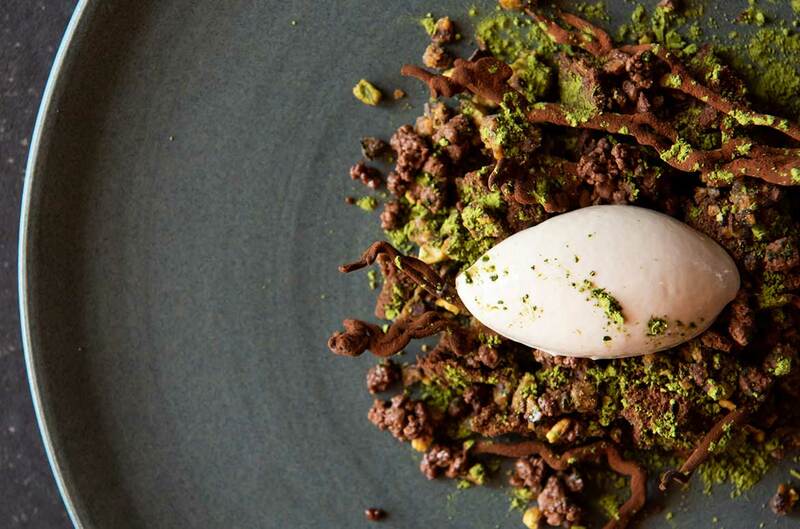 Custard apple, Uji matcha, chocolate, pistachio.